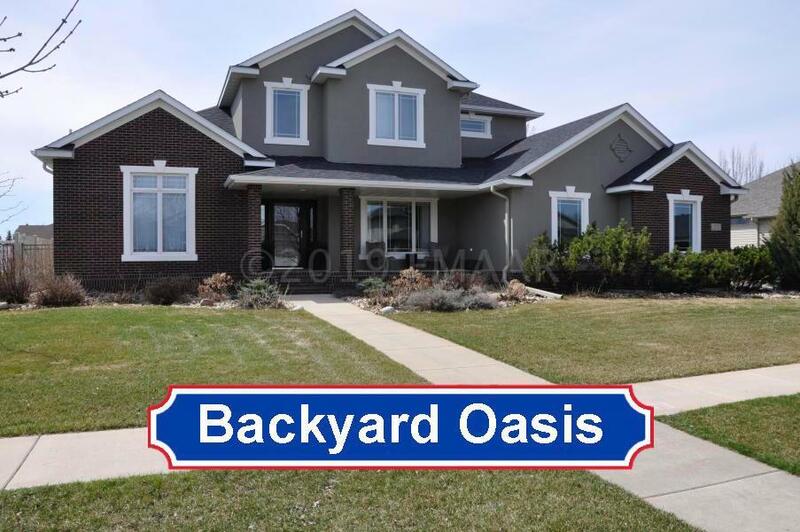 Imagine yourself in this stunning 5 bedroom, 3 bath home in the heart of Charleswood. Soaring vaulted ceilings drape above the open living & dining area, complete with stylish built-ins and Stone Fireplace. The adjacent kitchen features modern white cabinets, top of the line appliances, and large, bar height island with granite countertop. Gorgeous Solid Maple Hardwood Floors throughout the main floor. Formal dining room and main floor laundry. French doors open to a Backyard Oasis with a covered patio, Hot Tub, and 14 x 32 in ground pool, new in 2017. Finished Basement with Home Theater system, Bar Area and a Cozy Gas Fireplace. All in a very convenient location with very Low special assessments. © 2019 Fargo-Moorhead Association of REALTORS. All rights reserved. Information deemed to be reliable but not guaranteed. The data relating to real estate for sale on this website comes from Fargo-Moorhead Association of REALTORS and the Broker Reciprocity Program.sm. Real estate listings held by brokerage firms other than Beyond Realty are marked with the BR logo and detailed information about them includes the name of the listing brokers. Listing broker has attempted to offer accurate data, but buyers are advised to confirm all items. Information last updated on 2019-04-21.